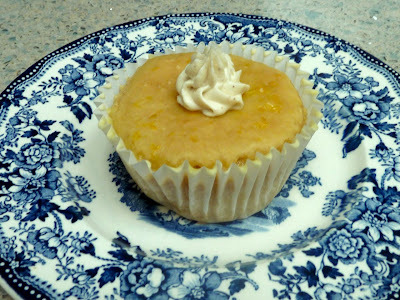 After making and loving the GF Cardamom Madeleines with Orange Glaze I wanted a cupcake with the same flavors. I used a my Flan Cake recipe and added cardamom to it. The orange glaze is the one from the Cardamom Madeleines cookies. It seemed that a dollop of Brown Butter Frosting would kick it up a notch. The flavors blend well together and how can you go wrong with brown butter on anything? The cake is light and moist. Though the glaze and frosting are sweet on their own, when eaten with the cake the sweetness is just right. 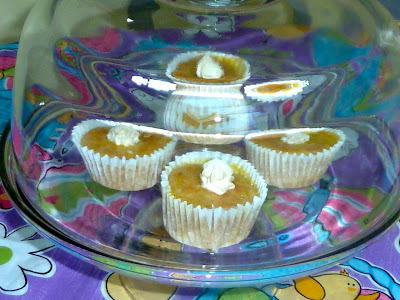 The recipe made 22 cupcakes. I divided the glaze and frosting into 22 equal parts when frosting the cakes. For Weight Watchers: Plain cupcakes are 1=2pts, 2=4pts, 3=7pts, 4=9pts, 5=11pts & 6=13pts. With Orange Glaze only 1=2pts, 2=5pts, 3=7pts, 4=10pts, 5=12pts & 6=15pts. With Glaze and Brown Butter Frosting 1=3pts, 2=7pts, 3=10pts, 4=13pts, 5=17pts & 6=20pts. With Brown Butter Frosting only 1=3pts, 2=6pts, 3=9pts, 4=12pts, 5=15pts & 6=18pts. In a bowl add the flours, baking powder, salt, xanthan gum and cardamom and mix well. Set aside. In the bowl of an electric mixer or in a bowl add the butter and sugar and cream until light and fluffy. Add the egg yolks and vanilla and mix until creamy. Add 1/3 the flour mixture and beat in well. Add 1/3 the milk and beat in well. Repeat until all the flour mixture and milk are added. Continue to beat the batter for 2-3 minutes. Using a scoop that measures 2-inches across, scoop the batter into the paper liners. When I made this recipe there were 22 cupcakes from the batter. GF Cardamom Cupcakes on a rack. Some with orange glaze and some plain. Orange Glaze all mixed in a bowl. Add all the ingredients in to a bowl and stir together until well mixed. Use a teaspoon to pour a portion of the glaze on top of each cupcake. 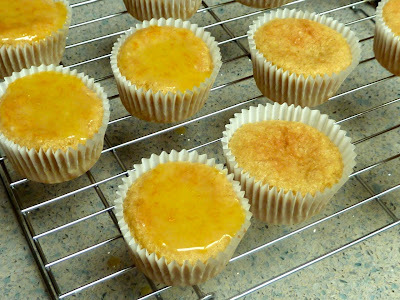 Spread the glaze evenly over the tops of the cupcakes using the back of the spoon. It will take about an hour for the glaze to set. Melt the butter in a saucepan and continue to heat over medium to low heat until the butter turns a light brown color and has a nutty smell. Stir often and watch it continually until done so that the butter does not burn. It is a fine line between delicious brown butter and unusable burnt butter. Remove the butter from the heat immediately after it turns brown and pour the butter into a small mixing bowl. Try to leave as much of the burnt sediment as you can in the pan. This is how the brown butter will look when cooked. The sediment is still on the bottom. Try to leave as much of this sediment in the pot before adding the sugar. Add the sugar and vanilla and stir well. Place the bowl in the refrigerator for a few minutes until the mixture is cooled down. When cool, use an electric mixer to beat the mixture until thick and creamy. Place the frosting into a pastry bag fitted with a small star point and pipe dollops evenly in the center of each glazed cupcake. Cooled Brown Butter whipped with confectioner's sugar into a fluffy frosting. The cupcakes will be best eaten in the first 2-3 days. If you plan to store them longer, freeze the freshly made cupcakes and then thaw them at room temperature for an hour before serving. GLUTEN FREE CARDAMOM CUPCAKES WITH ORANGE GLAZE AND A DOLLOP OF BROWN BUTTER FROSTING Ingredients Cupcakes ¾ cup Sugar (I used evaporated cane juice crystals) ¼ cup Unsalted Butter 3 Egg Yolks ¾ cup Sorghum Flour ¼ cup Tapioca Flour ¼ cup Chickpea Flour ¾ tsp. Xanthan Gum 2 tsp. Cardamom – finely ground 1 Tbs. Baking Powder ½ tsp. Salt ½ cup Milk ½ tsp. 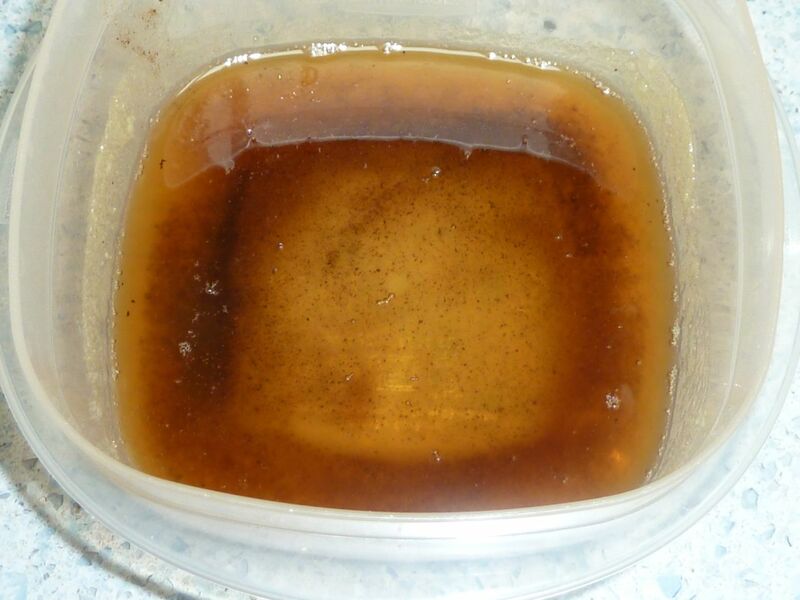 Vanilla Extract ¼ tsp. 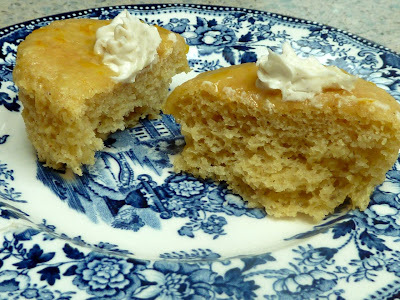 Almond Extract Glaze ½ cup Confectioner's sugar 2 Tbs. 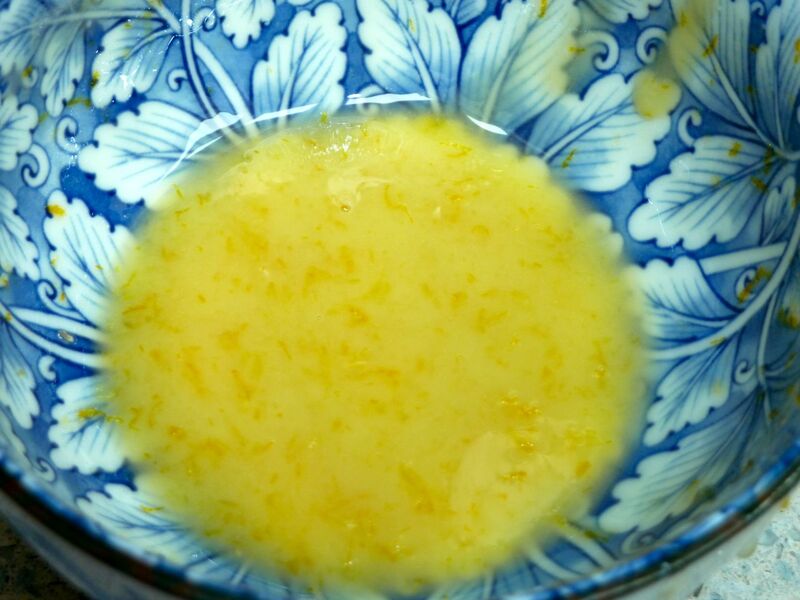 Fresh Orange Juice ¼ tsp. Fresh Orange Zest Frosting ¼ cup Unsalted Butter ½ cup Confectioner's Sugar ½ tsp. Vanilla Extract Directions Preheat oven to 350 degrees. Line muffin pans with paper liners. CUPCAKES In a bowl add the flours, baking powder, salt, xanthan gum and cardamom and mix well. Set aside. 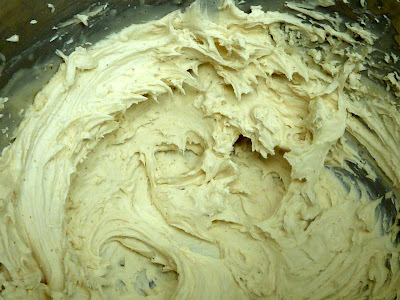 In the bowl of an electric mixer or in a bowl add the butter and sugar and cream until light and fluffy. Add the egg yolks and vanilla and mix until creamy. Add 1/3 the flour mixture and beat in well. Add 1/3 the milk and beat in well. Repeat until all the flour mixture and milk are added. Continue to beat the batter for 2-3 minutes. Using a scoop that measures 2-inches across, scoop the batter into the paper liners. When I made this recipe there were 22 cupcakes from the batter. 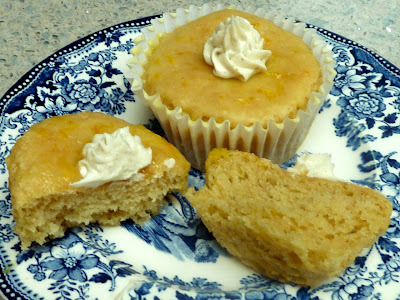 Bake for 15-20 minutes or until a cake tester or toothpick comes out clean when inserted into the center of a cupcake. Check the cupcakes at the shorter time first. (It could be my oven, but they baked much faster than I expected.) ORANGE GLAZE Add all the ingredients in to a bowl and stir together until well mixed. Use a teaspoon to pour a portion of the glaze on top of each cupcake. Spread the glaze evenly over the tops of the cupcakes using the back of the spoon. It will take about an hour for the glaze to set. BROWN BUTTER FROSTING Melt the butter in a saucepan and continue to heat over medium to low heat until the butter turns a light brown color and has a nutty smell. Stir often and watch it continually until done so that the butter does not burn. It is a fine line between delicious brown butter and unusable burnt butter. Remove the butter from the heat immediately after it turns brown and pour the butter into a small mixing bowl. Try to leave as much of the burnt sediment as you can in the pan. Add the sugar and vanilla and stir well. Place the bowl in the refrigerator for a few minutes until the mixture is cooled down. When cool, use an electric mixer to beat the mixture until thick and creamy. Place the frosting into a pastry bag fitted with a small star point and pipe dollops evenly in the center of each glazed cupcake. The cupcakes will be best eaten in the first 2-3 days. If you plan to store them longer, freeze the freshly made cupcakes and then thaw them at room temperature for an hour before serving.